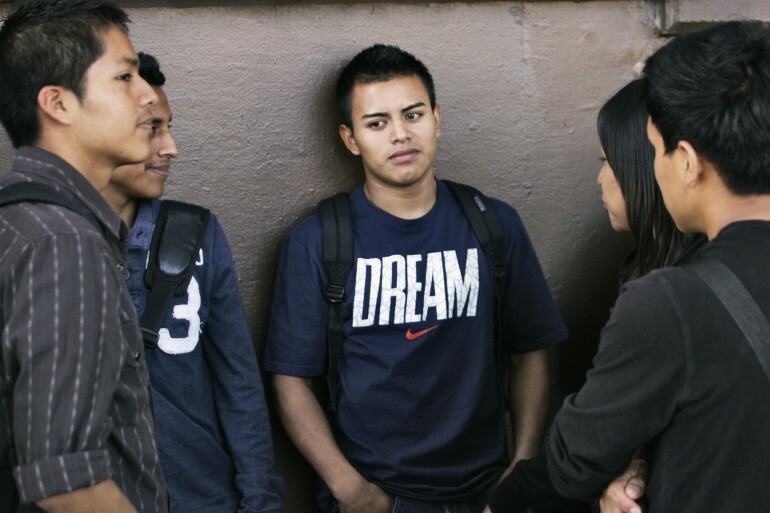 Immigrant teens are more law-abiding than their native-born peers, according to a new study published in peer-reviewed journal Social Psychiatry and Psychiatric Epidemiology. It’s the latest study to debunk the connection between immigrants and crime. Inspired by the spike of unaccompanied minors from Central America last summer, researchers at The University of Texas at Austin wanted to investigate “the concerns that immigrants may present a threat to American society.” The study includes teens from a variety of ethnic and national backgrounds; half Hispanic, one-fifth white; one fifth Asian. The study found that immigrant youth are 50 percent less likely to binge drink, sell drugs or use hard drugs. Marijuana use was down 33 percent. Immigrants aged 15-17 were 33 percent less likely to commit assault, carry handguns. While foreign-born teens were less likely to commit crime across the board, researchers also found the phenomenon was more pronounced among immigrants who spend less than 5 years in the U.S., and among those who arrived at age 12 or older. To put it another way, the U.S. may have a criminalizing effect on immigrants, not the other way around. Instead of immigrants “bringing drugs” and “bringing crime” to the U.S. -- as the immigration analysis of Donald Trump has argued -- the research implies that it is the U.S. that brings drugs and crime to immigrant youth. Of course for Michael Vaughn, a Saint Louis University's School of Social Work research who co-authored the work, the purpose of the study wasn’t necessarily to win an argument with Trumpsters. Instead, he believes it can help social workers best address the needs of young immigrant clients. “In light of our findings, efforts designed to support the well-being of immigrant teens may benefit from being particularly mindful of teens who immigrated early on in life and spent longer periods of time in the United States,” Vaughn said in a statement released by UT Austin. However, for lead author and UT Austin professor Christopher Salas-Wright it’s clear that addressing social attitudes about immigrants was at least one reason for pursuing the research. "In recent years, as we have seen growth in the number of immigrants in United States, we have also witnessed rising concern that immigrants may present a threat to American society," Salas-Wright said in the statement. "Our research adds to the growing body of evidence indicating that, despite experiencing adversity on multiple fronts, immigrants are substantially less likely than those born in the United States to be involved in antisocial and risky behavior." Vaughn and Salas-Wright’s study tapped data from the National Survey on Drug Use and Health. The data was collected between 2002 to 2009, and subjects self-reported both their illegal activity and their ethnicity. Additional co-authors included Seth Schwartz of the University of Miami and David Córdova of the University of Michigan. Teens represent just 6 percent of the total immigrant population, according to Census estimates (they represent 23 percent of the total native-born population).